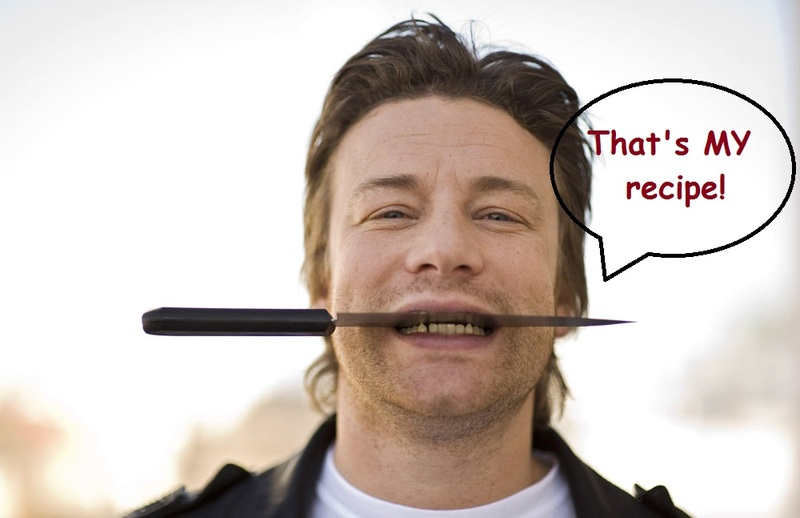 I was fortunate enough to receive an email from Waterstones with a free recipe from Jamie’s 15-Minute Meals. The phrase “15-Minute” made me very excited. The word “Chorizo” made me even more excited. This recipe is great because it is almost that quick (I’m slow at chopping and don’t want to lose any digits…) and it’s cheap, and it’s mouthwatering, delicious and addictive. So addictive, in fact, that I’ve made it three times so far! Here is the recipe with quantities adapted for one person, and a couple of additions/adaptations. Enjoy! Boil a pan of water and start cooking the pasta. Chop the pepper and begin to fry in olive oil. Finely slice the chorizo. Finely chop the chilli and rosemary. Chop/crush garlic. When the pepper starts to soften, add the chorizo, chilli, rosemary, garlic and a good amount of black pepper, and fry until the chorizo starts to shrink. (Be careful not to burn the chorizo, but make sure it is cooked or it won’t release its wonderful flavour). Beat the egg, lemon juice and yoghurt together in a jug. Drain pasta and reserve a cup of the starchy water. 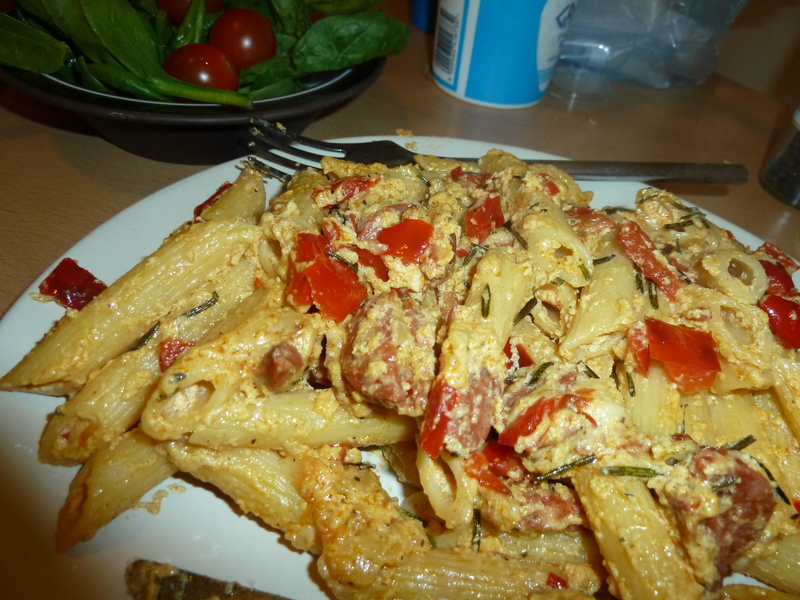 Add pasta and the yoghurt mixture. Add the cooking water to loosen as necessary. Grate the manchego into the pan and mix until melted. The original recipe comes with a Catalan market salad, which is way beyond my budget as a student. 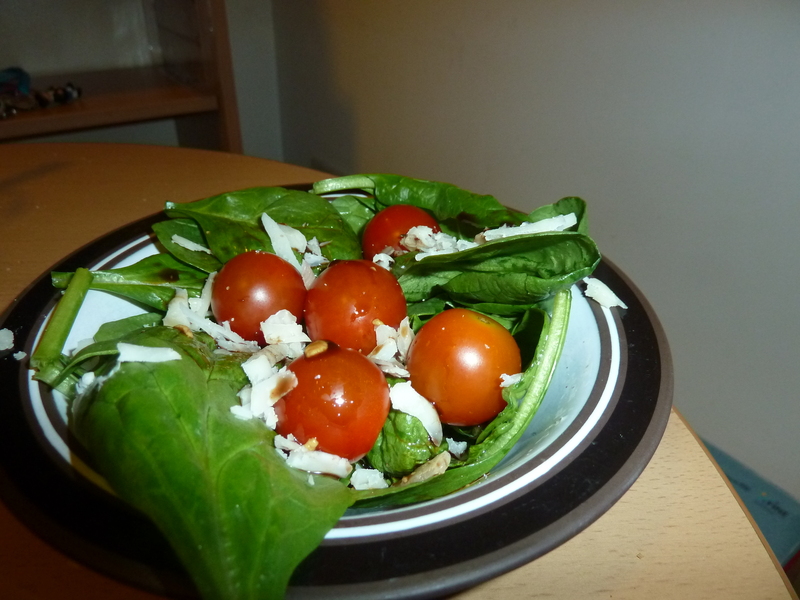 However, some baby spinach leaves, cherry tomatoes and a little bit of manchego made a great accompaniment.